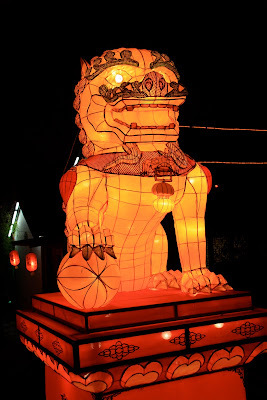 Life on Nanchang Lu: Lanterns, Lanterns, Lanterns!! 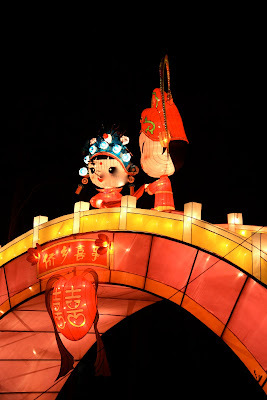 The Nanjing Lantern Festival was a spectacular weekend enjoyed by me and about one hundred and fifty thousand million Chinese people. That's no exaggeration, I counted every single one, and got elbowed by at least half of them. 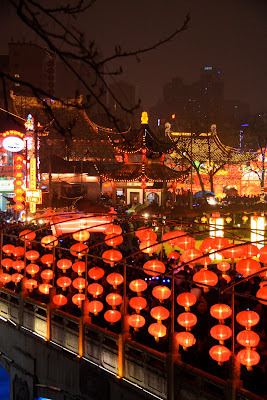 If I had a romantic notion that I would waft along the banks of Nanjing's canals, my path lit by the soft and gentle light of a lantern's glow, I was obviously in some other country, and some other century. Wake up Cinderella! This is the new China! It's more like Vegas than Confuscius, although it was next to his temple that we jammed ourselves along waterways lined with rows and rows of red lanterns, saw scenes from Chinese stories and legends as giant lurid neon-coloured lantern-scapes, wore crazy flashing battery operated hats and jostled for fairy floss and dragon-shaped toffee-on-a-stick. 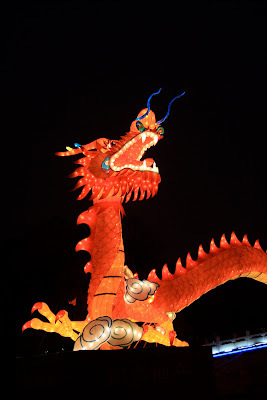 Then, sugar-high just hitting, we hopped in a flashing, flashy pagoda-shaped motor boat for a whizz round the waterside lantern panoramas (life of Confucius, life of Donald Duck, brace of swans, huge dragons) to the relaxing sounds of a pre-recorded commentary. Head buzzing with total sensory overload, I finally made it to bed just in time for the fireworks starting. I haven't had a fireworks-free slumber for, oh, about fourteen or fifteen days, so it was great to hear them setting off around midnight, and after a brief rest for sleep at three am, starting up again with renewed enthusiasm at around four. What a show!